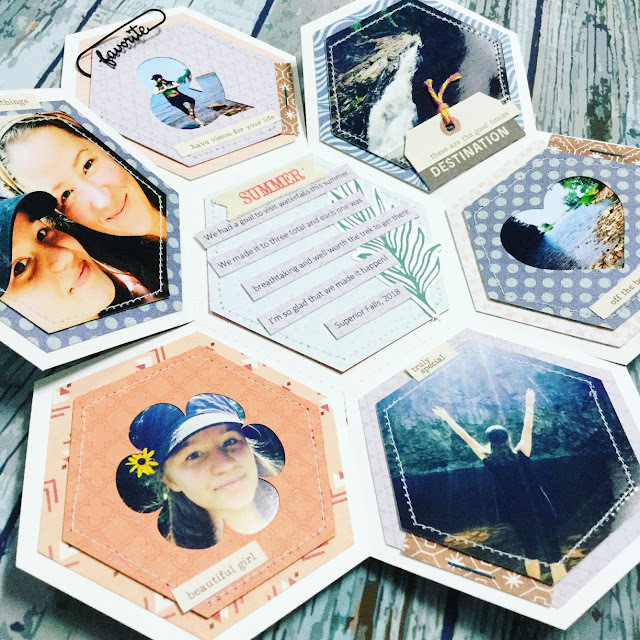 As soon as I saw this hexagon shaped mini-book from Paige Taylor Evans I knew that I had to create one myself using the same die-cut (available in Paige's Etsy shop and in the Silhouette Design Store). 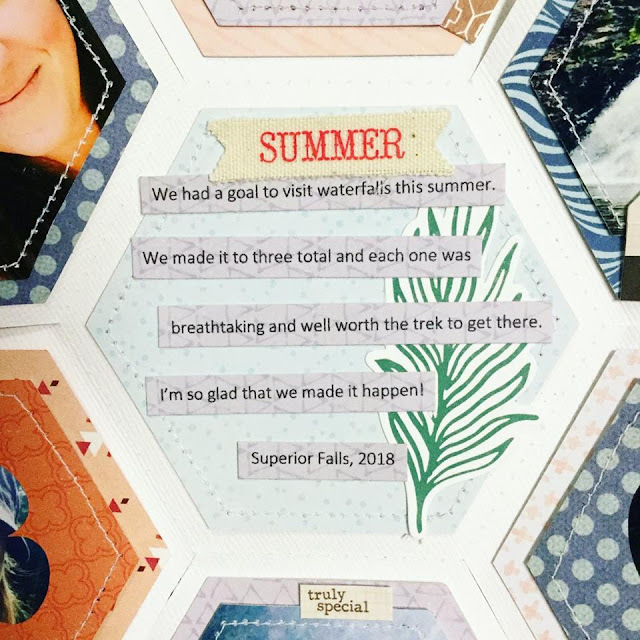 I printed some of my favorite photos in a 3.5 x 5 size from one of our adventures this summer and was able to use one of the hexagon shapes (made smaller) as a template to cut around some of my photos for the pages. 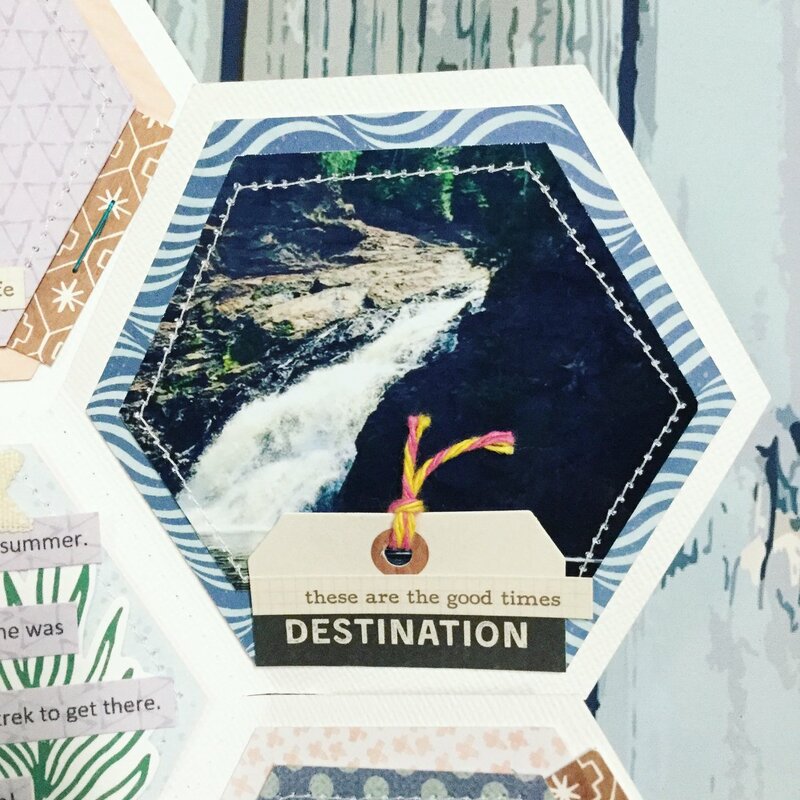 All of my papers and embellishments are from my stash of scrapbooking supplies. 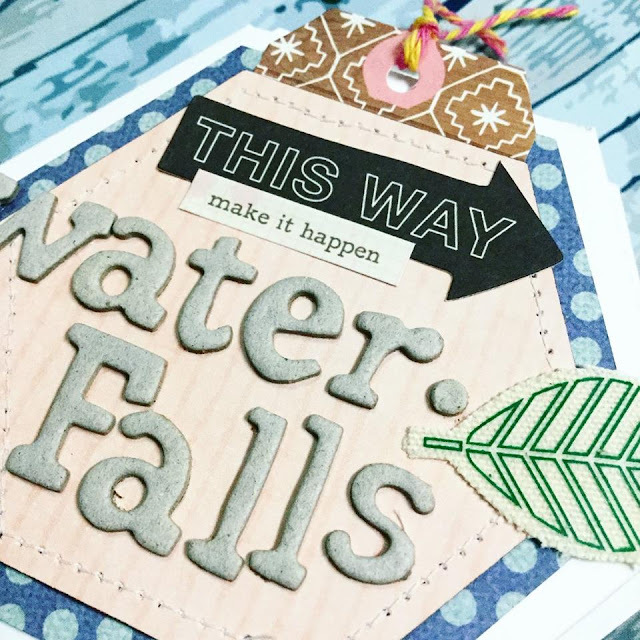 Mostly they are from past Cocoa Daisy kits, We R Memory Keepers and Crate Paper. 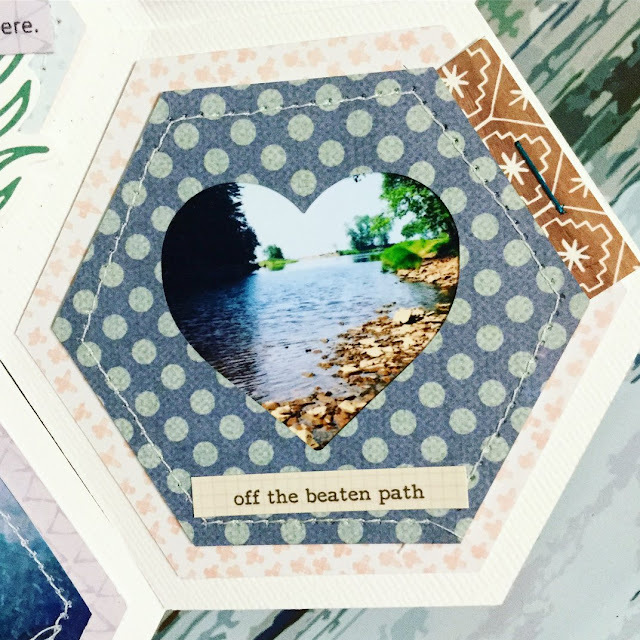 It's always fun to try out new shapes for background pages when it comes to mini-books. 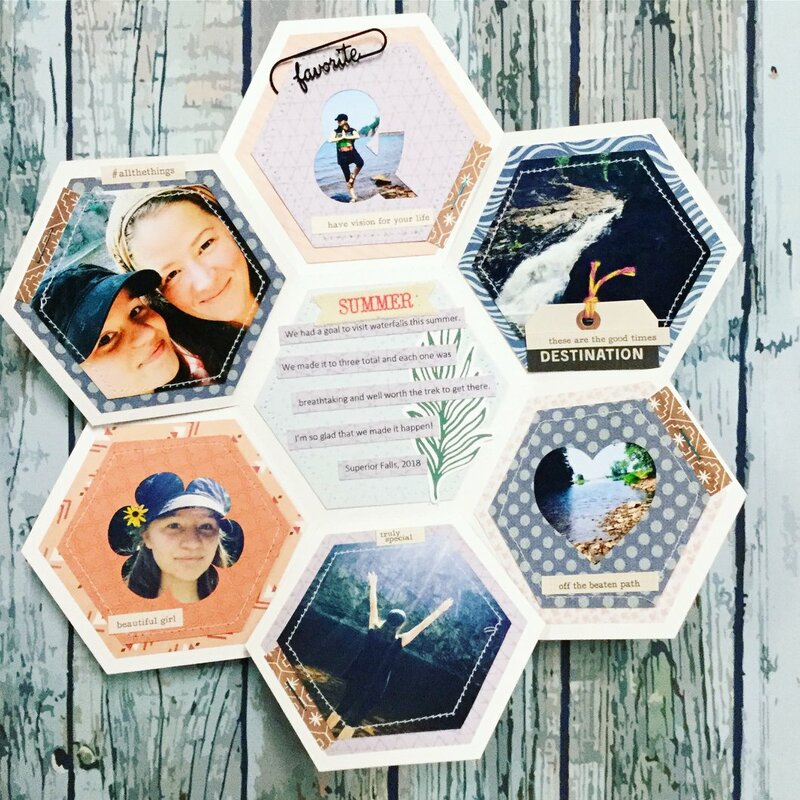 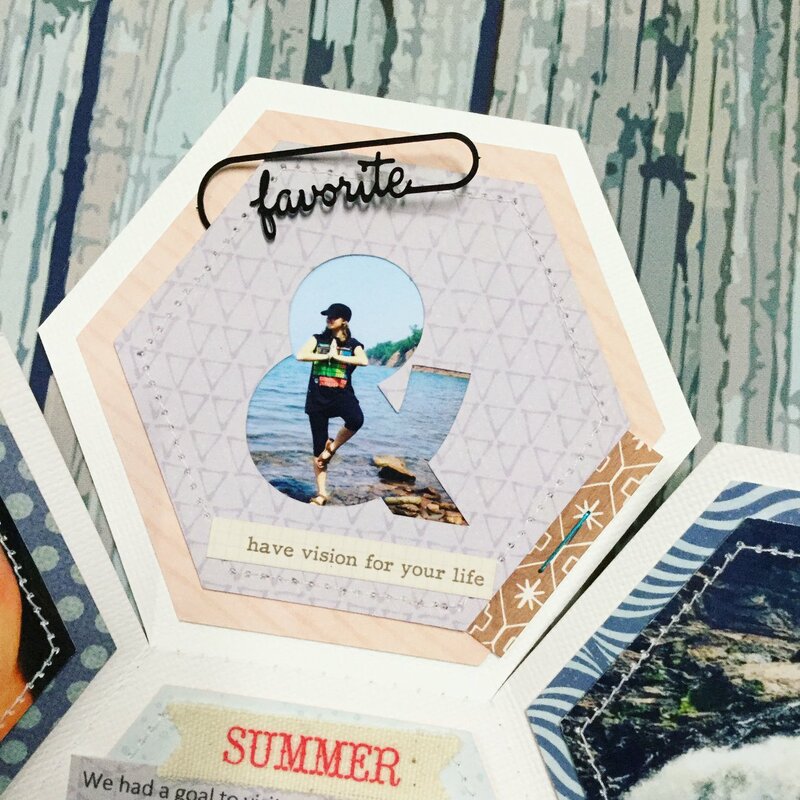 I love the hexagon shape and some of the cut-outs as photo frames posed for some interesting challenges as well. 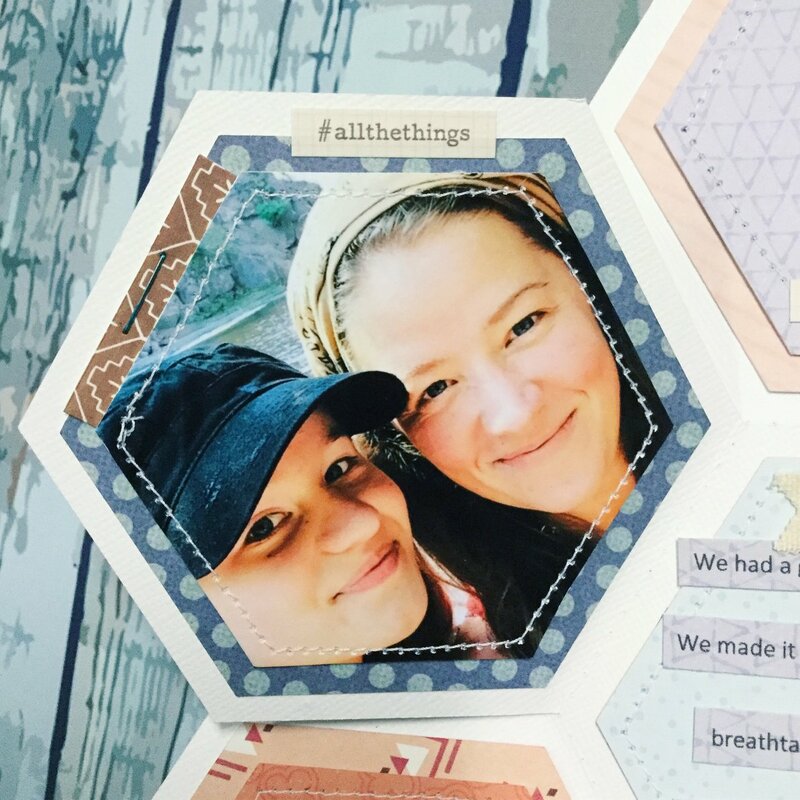 I always get some much inspiration for projects when looking at Paige's blog! So happy I stumbled upon her mini-book so that I was inspired to create this. It's now one of my new favorites.